9 of 10: Almost too wonderful to summarize in just a few lines. Stargirl arrives at Micah High and enchants everyone with her strange and wonderful personality, particularly the narrator, Leo. But when she begins cheering for both the home team and the opposing team, the school turns on her and Leo, desperately in love with her, pressures her to conform. Wonderful characters, magical story. Highly recommended. 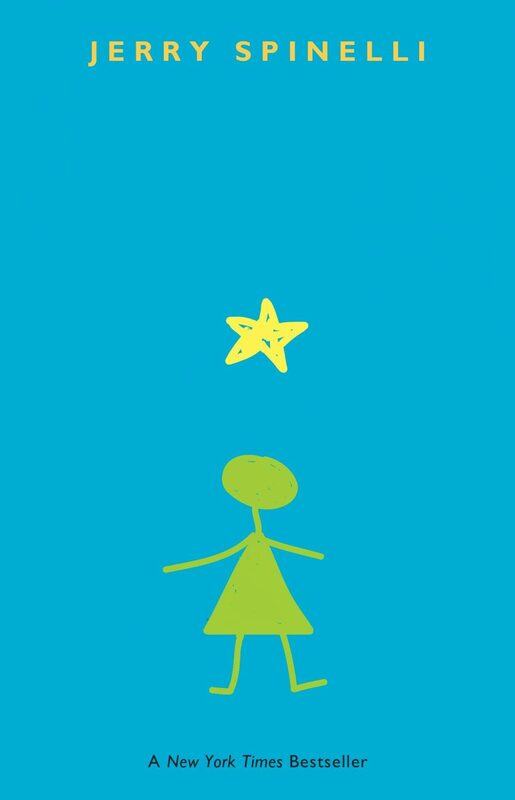 In the first chapter of this book, Stargirl appears at Micah High School on the first day of class and Leo, the narrator, comments that her name was on everyone’s lips. That’s how this book was for me – it seemed like everyone was talking about it. In the last six months, I’d heard about it on the Internet, at school, from friends, at the library. I was hesitant to read it, though, because I read Maniac Magee in 2006 and didn’t particularly love it. But, when I was in need of a new audio book to listen to at work, I snatched it up. I loved this book. I’m a little surprised at myself, since it’s not necessarily something that I would guess I’d like, but it just spoke to me (and yes, I realize how ridiculous that sounds). Anyway, Stargirl shows up in school, after being homeschooled for her whole life. She wears pioneer-type dresses, brings a vase of flowers to put on her desk each day, carries her pet rat in her pocket, and in the cafeteria, she plays the ukulele and sings Happy Birthday to whomever is having a birthday that day. (For the record, I never did anything remotely like this when I went to high school after 9 years of homeschooling). The school is at first completely thrown by her (and wouldn’t you be?) but after a few weeks she becomes a minor celebrity. The pet store sells out of rats, people are taking up the ukulele like crazy, and basically everything Stargirl does becomes the newest trend. But even more surprisingly, it becomes acceptable for people to do what they want to do – dye their hair, try out for an unpopular sport or activity. The “hotbed of non-comformity’ appears to be changing. Leo, the narrator of the story and a fellow sophomore at Micah High, is completely smitten with Stargirl. He is everything Stargirl is not, though – he is shy and doesn’t like attention (for this reason, he’s the cameraman for the school’s tv show, “Hot Seat”). And yet, it is clear that Stargirl likes him too and, in her normal exuberant fashion, she doesn’t mind making it clear how she feels. They begin dating and Leo is increasingly enchanted by Stargirl – her secret missions to deliver cards to people with sick family members, her wagon full of pebbles that she uses to monitor her happiness levels (20 pebbles is the max), her games that she plays with herself. And then things get ugly. Stargirl had been asked to be a cheerleader early in the year, but she has the odd habit of cheering for both teams and when the Micah High basketball team starts winning many many games, the students are suddenly incensed that she is cheering for the enemy. Why, she is trying to destroy their winning streak! When Micah High eventually does lose a game and ends their season, a fan throws a tomato right into Stargirl’s face. Leo suddenly realizes that no one at school will talk to Stargirl – it’s as if she doesn’t exist. The ukuleles disappear, the hoard of rats are no more. Stargirl has gone from the most popular girl in school to the most hated. And Leo is being dragged down with her. Leo can’t really deal with this level of hatred and so he begs Stargirl to stop being so different. If she was more normal, he argues, the other students would stop hating her. And, to his surprise, she does so. She starts wearing jeans, a normal backpack, makeup, and she puts away her ukulele. The rat no longer comes to school with her. She starts going by “Susan,” which is her real name. Leo is thrilled. And then, he slowly realizes that nothing has changed. The school still hates her, jeans or no jeans. After a disastrous incident at the State Speech contest, Susan too recognizes that nothing is going to change for her. And so she goes back to being Stargirl. Well, I think I got a bit carried away there. Pardon me. Anyway, the book is brilliant. It’s just so extraordinarily interesting, with utterly compelling characters. Leo is so likable, yet I found myself angry when he started pressuring Stargirl to conform. But really, wouldn’t most of us do the same thing? Could you endure the hatred of every person you knew for your first love? I think what I really loved about this book was the cliche of its beginning – new year of high school, with an unusual stranger, but it ended up being such a unique and magical book. I enjoyed the book so much that I read the sequel (“Love, Stargirl“) the next week, which tells the story of the following year from Stargirl’s point of view. I’m almost tempted to run out and reread Maniac Magee just to see if I was wrong about Jerry Spinelli. But, um, not quite. I loved this book, but haven’t read the sequel yet. The concept of being so different that it becomes cool reminds me of “How Not to be Popular” by Jennifer Ziegler. I can’t remember if you read and reviewed that one or not, but you might enjoy it as well. I liked it quite a lot. “Stargirl” sounds like one I should read. Thanks for the review! Stargirl is one of my very favorite books, so I’m really glad you liked it too. I didn’t care for the sequel, but you can’t win em all. I will say that I have met Jerry Spinelli a few times and he is one of the nicest people you’d ever hope to meet. Never heard of this one, another fun one to add to my list. What would I do without you to point me to the good ones?! by the way, have you read “Host” by Stephenie Meyer yet? I love this book! I read it to my students every year! I haven’t had the chance to read the sequel yet! I love Stargirl; I found it ages ago and have re-read it often. Love! I love this book, and everything I have ever read by Jerry Spinelli. He IS magic. I also just read Milkweed – it’s very good (although it was overshadowed a little by The Book Thief, which I read immediately after. But still very good. )I love that this kind of stuff is out there for my future students. Stargirl is one of my all-time favorite books – one of the very few that I’ve read more than once.